We thought so too, so that is what we named it! Just pop "pretty" in the search bar ! An armload of tulips? Yes indeed! These beautiful fresh tulips are sure to please anyone! Pure and simple, elegant and sweet, what fun! 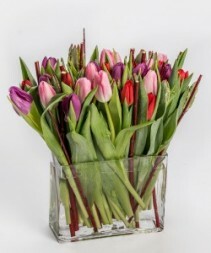 This bundle of tulips is shown at $55 and includes 40 tulips. 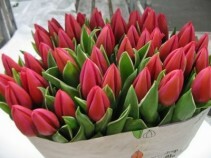 We also make a larger version at $65 with 50 tulips, and a smaller version is available for $45 with 30 tulips. 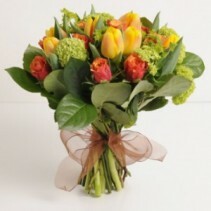 Bear in mind that we get assorted tulips each week and sometimes we will mix up the colors a bit! If you want specifics please call us! This is a lovely, textural and fragrant basket of flowers in a soft color palate. 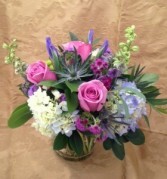 It includes lilies, roses, hydrangea, delphinium and stock. 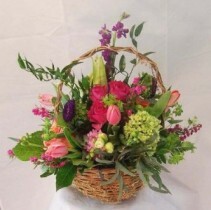 This is such a great arrangement for any occasion. Big Picture Farm's in-barn designed, american made, charming watercolor 'Heart Box" with 11 caramels, (3.2 oz,) Loaded with award winning goat milk caramels (Classic flavors*) made right in Townshend, VT on the farm with fresh, raw, creamy milk from our herd of goats. 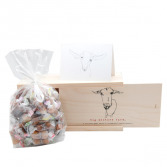 These caramels are the best in the world, we promise! Classic Flavors: ORIGINAL SEA SALT & VANILLA original sea salt & bourbon vanilla -- this caramel was selected as the 2012 outstanding confection and awarded the gold SOFI at the prestigious Fancy Food Show. MAPLE CREAM featuring maple syrup from Plummer's Sugarhouse in Grafton, VT. This is a very popular flavor. CHAI Winner of a 2015 GOLD SOFI For BEST CONFECTION and a 2013 Good Food Award! Made with organic chai supplied by friend Neil Harley of Vermont's own Chai Wallah. COCOA LATTE Winner of a 2013 SILVER SOFI for outstanding new product! It features local favorite Mocha Joe's Espresso & Askinosie White Chocolate made with Goat's Milk. 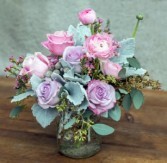 Here is a beautiful, gardeny, textural bouquet in the European tradition of delivering flowers without a vase! The textures are diverse, and this uplifting design is perfect for so many occasions! 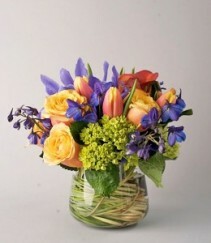 The flowers will change up to week depending on what is freshest, but the look, feel and colorway won't! 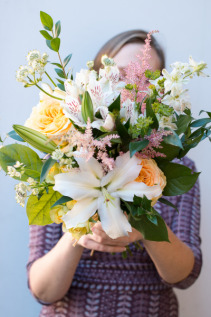 These bouquets are carefully packaged with stems in Oasis foam, wrapped in our signature chartreuse tissue with clear cellophane, and in colder weather tucked into a kraft paper sleeve for delivery. 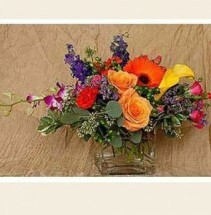 We will always use the freshest flowers we have in the color range! 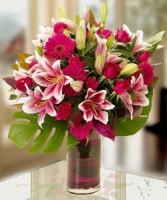 Save the planet by letting the recipient use their own favorite vase. 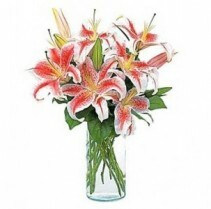 This way all of your budget goes to flowers, not more glass! Not feasible for delivery to Funeral Services, Nursing Homes, or Hospital. This creative presentation features one of our easy to grow double stemmed Phalaenopsis orchids, nestled comfortable with a fern in a ceramic container. It is accented by driftwood, moss and stones! It evokes a woodland theme and is just not done justice with this photo! 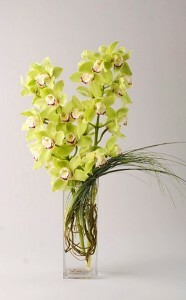 If you really want to 'go over the top' you should select the $125 option and we will include TWO double stemmed orchids! PLEASE NOTE: This unique item is only available for local delivery! 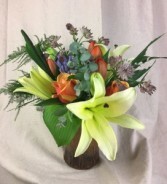 This is a signature arrangement for us; it captures color, texture, and style in a very simple arrangement! 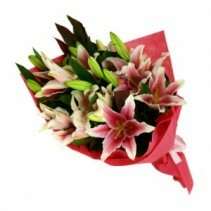 Just beautiful flowers, long lasting and eye-catching. This arrangement is shown at $69, The larger version is created in a larger vase and has more flowers! As the seasons change so will the specific flowers we use based on what is available. 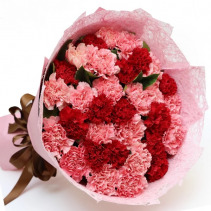 We will always maintain the color, look, and feel of the arrangement! This vase would be appropriate for nearly any occasion. 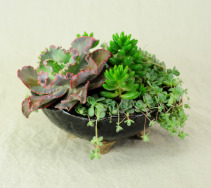 This lovely dish garden includes unique and beautiful plants such as Echevaria, Jelly Beans Sedum, and "Chinese Cap" depending on our available inventory. 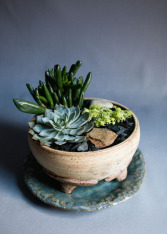 Planted in our own hand built pottery bowl, it is easy to maintain. It will arrive with full instructions. 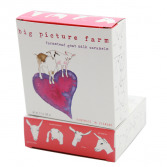 This gift comes in two sizes, the $58 version is shown, the $88 version is larger and has more plants! The pottery glaze color will be of our choice. For the $58 version the bowl is about 7" diameter and a matching hand built saucer will be included. For the $88 version the bowl is about 9" diameter and a matching hand built saucer will be included. Here is that 'simplicity factor' again! 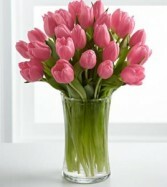 So elegant and graceful, tulips are a great choice for just about any occasion! 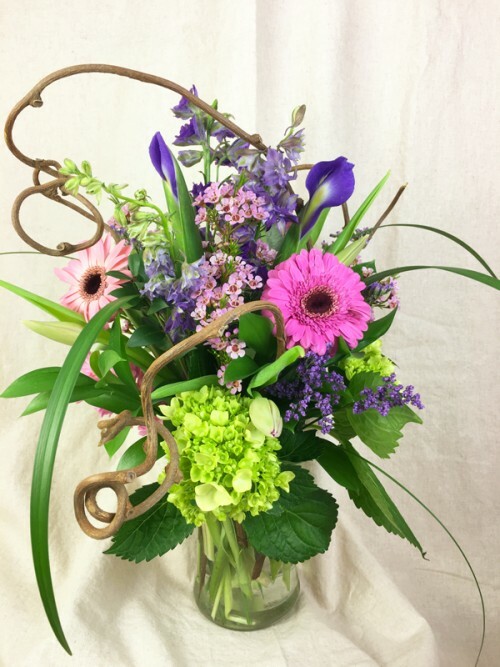 This arrangement is shown at $49, but we also make larger versions that have more flowers and is overall taller and wide for $59 or $69. Each step up gives you ten more tulips! In the European Style we will create a beautiful, elegant hand tied bouquet in seasonal flowers in shades of yellow, orange and green. These are carefully packaged with stems in Oasis foam, wrapped in our signature chartreuse tissue with clear cellophane, and in colder weather tucked into a kraft paper sleeve for delivery. We will always use the freshest flowers we have in the color range! Save the planet by letting the recipient use their own favorite vase. This way all of your budget goes to flowers, not more glass! Not feasible for delivery to Funeral Services, Nursing Homes, or Hospital. What could be more lovely and fragrant than simply hyacinth flowers arranged in a clear vase? This sweet arrangement is elegant and delightful. 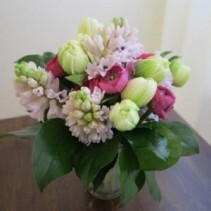 The $69 version (as shown) has 10-12 stems and over the top at $79 includes a larger vase sporting 15+ stems of fresh fragrant hyacinth stems. 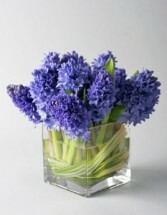 A NOTE ABOUT THIS ITEM... We strive to always have blue hyacinth flower on hand, but if we don't we will use mixed colors such as purple, pink, lavender, etc. If you ONLY WANT BLUE please get in touch with us by phone to see what we have. Most times we can get a new batch from our vendors within two business days so bear that in mind when ordering!